Home Blog Which Black Dishwasher Should You Buy In 2017? 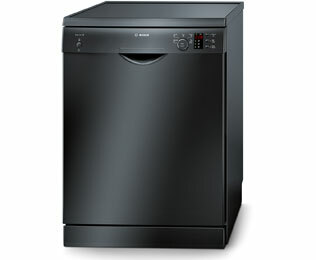 When start shopping for a dishwasher in black, you might be surprised to find the level of choice that is available. In the past, you had some options, but it’s nothing compared to the vast selection of machines that are available today. For some people, this large selection might not really be of interest. If you’re just looking for a basic appliance that serves the intended purpose, then you might not care too much about the range of programs on offer or advanced features included. 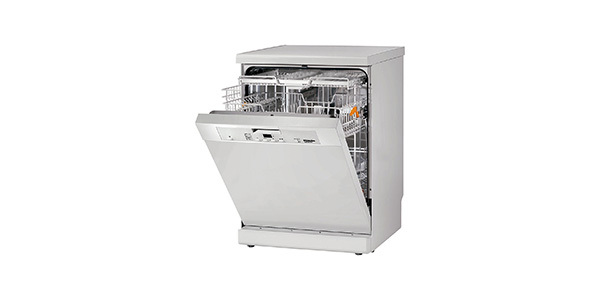 There are however many people that are particular about certain points when it comes to picking a dishwasher. You can select a machine based on its capacity, the features and programs, the design of the racks and you have some nice options for colour (gloss or matt finish etc). 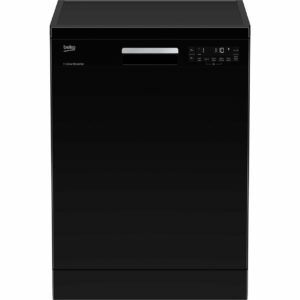 In this post, we are specifically talking about finding a best buy black dishwasher (if you’re not bothered about the colour please check our main best buys section here). 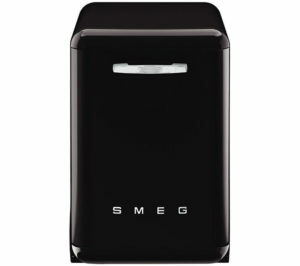 In the past, it was difficult to find these appliances in any colour other than white, but now you have a good assortment of black dishwashers, models that come in silver and you can even find some ranges that include colours such as red or blue (Smeg are well known for these colourful machines). Even with all of these colour options, white is still the most common (and popular) colour. 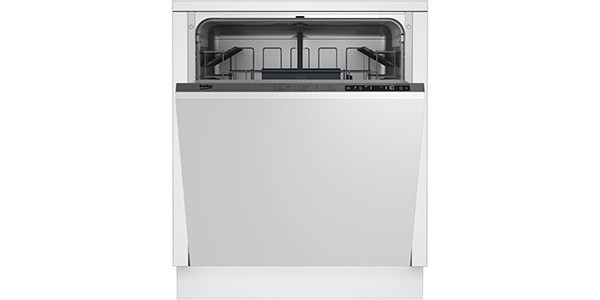 That said, a person might want a black dishwasher because it fits in better with the rest of the kitchen or it might be that they already have other appliances that are black. Regardless of the reason, you have a good selection of black models to choose from. You can get them with all of the best features, with different types of racks and you can find models that can hold different amounts of dishes. When you shop for a black dishwasher, you’re going to want to do more than just look for a machine that comes in the right colour. While any nice-looking black appliance might be good, you also want to make sure that you’re buying a quality machine that can fit the needs of your home. To do this, you may want to consider several points that can affect the usefulness and performance of the machine. 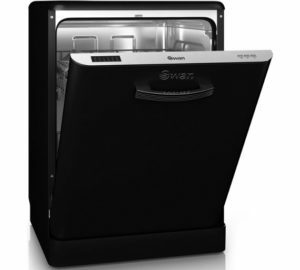 So you have looked at your kitchen and decided that a black dishwasher will look great in your home. That is a good start to the shopping process, but you have more to consider. Before we start to look at our recommendations for the best black dishwashers, we would like to cover some of the points that can help to shape a person’s purchasing decision. Below, we have outlined some of the basic criteria for selecting the right model for you, but there are some other factors that may be worth considering. 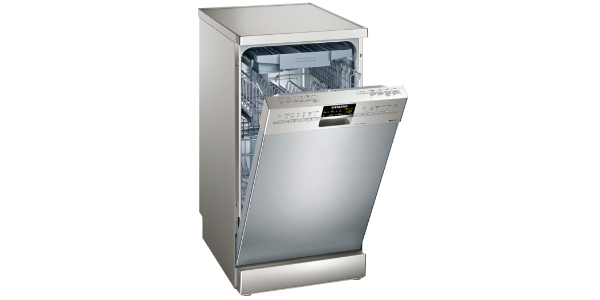 If you want a full overview of what to look for in a dishwasher, you can learn more by reading our dishwasher buying guide. The programs and features can be a big deal for some buyers. You may want to look for things like glassware protection, a time saver feature, sensor washing, a sanitizing wash or any number of other features that can greatly improve performance or make the machine more convenient. Most buyers are going to consider capacity to be one of the most important factors in their purchasing decision. In general, being able to fit more dishes in per load is good, but if you don’t use a lot of dishes in a day, it might be more economical to go with a machine that has a lower capacity (long-term you’ll save on water and electricity). The layout of the interior and the design of the racks can be important for both ease of use, and for versatility. With a smart racking system, the machine will be much easier to load, and you will be able to make adjustments to fit in larger items when you need to. The racks are just one factor that will determine ease of use. As an additional point, you might want to consider the controls. Check to see the type of control setup the machine has and consider whether it has a display with a countdown timer. 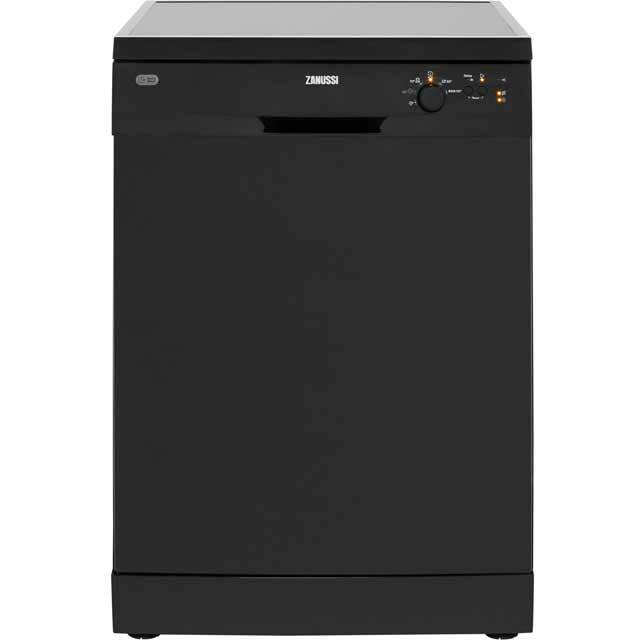 When you consider the great build quality and its overall performance, the Bosch Serie 4 SMS50C26UK is (ir our humble opinion) one of the best black dishwashers that you will find. It has a nice range of settings that cover all of the basic cleaning functions and you will have an excellent range of features that help to make this an indispensable appliance. 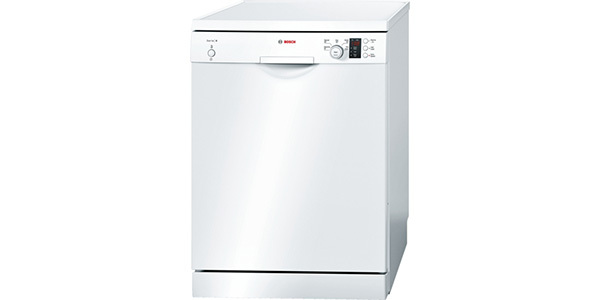 With the SMS50C26UK from Bosch, buyers get 5 programs for cleaning dishes. It has settings for normal, economy, intensive, quick and it has a pre-rinse. In addition to that, you have the option to wash a half load and it also has the Bosch VarioSpeed feature for cutting down the run time of the cycles. Furthermore, this model comes equipped with Bosch technologies like DosageAssist, ActiveWater and it has the AquaMix glass protection. Another good point about this Serie 4 machine is that it is designed for ease of use. The controls are simple and straightforward, it has a countdown timer and it is very easy to load and unload. This machine has a 12 place setting setting capacity, it has a height-adjustable top basket and it has adjustable racking features that offer a good level of versatility. 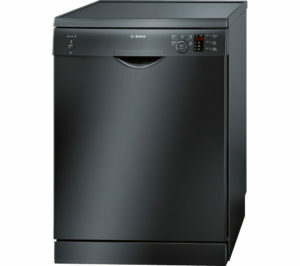 We think you really can’t go wrong with this Bosch Black Dishwasher – and it’s not even that expensive. See our table below to see who’s offering the best deal. While the aesthetics of the Smeg DF6FABNE2 might be of a stylish retro design, it is a dishwasher that comes with a nice range of modern features. This machine can fit up to 13 place settings per load and it has a range of well-designed racks that make it easy to load. The DF6FABNE2 performs very well in regard to cleaning performance, and the user has 10 wash settings that they can choose from. It has an auto sensor wash for most of your standard cleaning and then it has advanced cycles like eco, eco quick, delicate quick, crystal, normal quick, soak, speed and super. In addition to that, it has the option for washing half loads, a quick wash that runs in less than half an hour and it has the Smeg Hyclean feature, which is like a sanitizing option. For the most part, this model is easy to operate, but new users may find that it does take a little getting used to. For loading, this machine is fairly straightforward and it does offer some good options. It has folding racks in the baskets, some tip up compartments, you can adjust the height of the top basket to three positions and it uses the third-level cutlery tray instead of a basket. We think this one is well worth a look if the retro design appeals to you (and your friends will be jealous of your fancy new Smeg appliance). 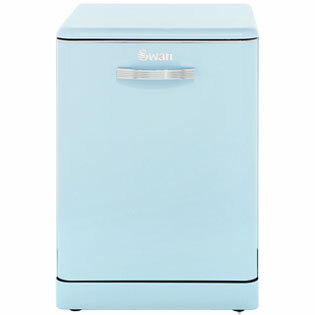 The Swan SDW7040BN is another dishwasher that offers a retro feel. While it’s a good dishwasher that does perform well, it does seem that it costs a little more than machines that are functionally comparable to this model. If you like the stylish design, it might be worth it, but please be aware you are paying a little extra based mostly on the fact that it is an attractive appliance. For cleaning performance, the SDW7040BN from Swan does score well. 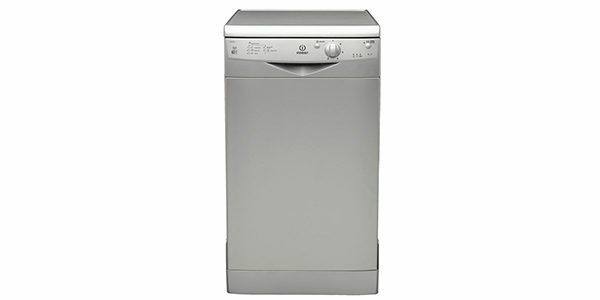 It has all of the basic wash settings and features that you could need, and the settings perform well across the board. For programs, the user can choose from a normal wash, intensive, eco, 1-hour wash, glass and rapid. 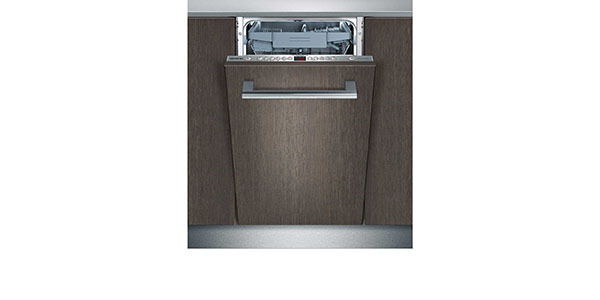 When it comes to ease of use, that is another area where this dishwasher scores well. The controls are simple and easy to understand, and this model offers the user a range of versatile racking options. The top basket does have height adjustment options and the baskets also have folding tines and racks. 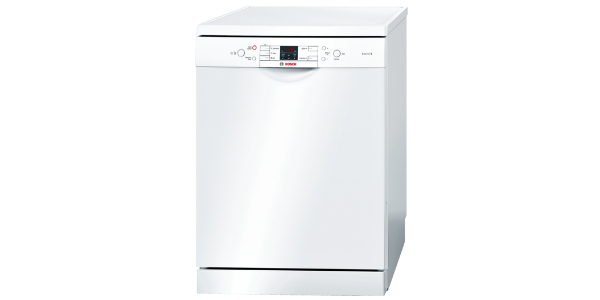 With the Zanussi ZDF21001NA, you have a great dishwasher that comes at a good price. It has a nice range of programs for washing dishes and the machine has a versatile interior that provides the user with a nice range of options. The ZDF21001NA is a 13 place setting capacity machine, so it also offers a good amount of space. The cleaning performance on this machine is great. It has a dial that you can use to select from the 5 available programs, and it has options like intensive, normal, eco, quick wash and rinse and hold. Other than that, it does not have a lot of features that can be added to the programs, but it does have auto half-load detection, so you can wash partial loads without using as much water. The interior of the ZDF21001NA is designed well and it does offer the user a good number of adjustable options. It has a top basket that can be height adjusted, it has folding tines, you have tip up compartments and it has some special racking features. You can read our full review of this model here. When you consider the price and all of the features and options, the Beko DFN28R21 offers amazing value! This machine comes with a wide assortment of programs and features, it has a versatile interior and it uses a range of technologies to offer superior performance and convenience. Buyers should be more than satisfied with the cleaning performance that they get from the DFN28R21. It has 8 program options to choose from and it offers a number of handy features that can be added to the cycle. It has a sensor washing program for most of your cleaning and then you also have settings for economy, intensive, glass care and rapid. For added features, you can set the machine for half load, it has a time saver and it has a steam gloss feature. 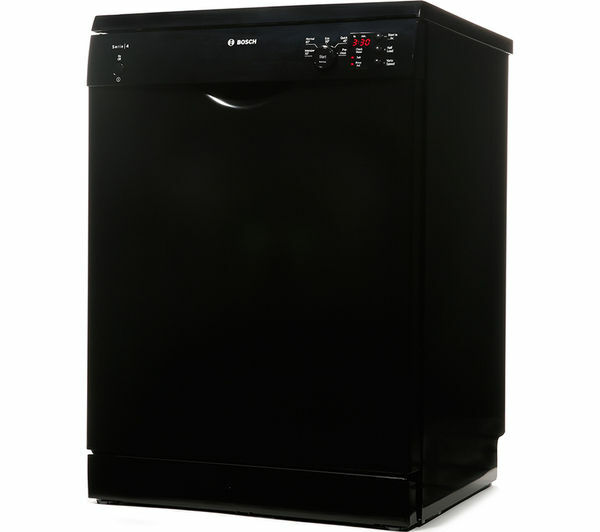 This cheap black dishwasher from Beko can fit up to 13 place settings and it offers a good level of versatility in the racking. You have folding tines in both baskets, it has a special fold out racks, the top basket is height adjustable and it has both the third level cutlery tray and a removable cutlery basket. It is easy to load, easy to get the machine going and it is easy to unload when the cycle is done. 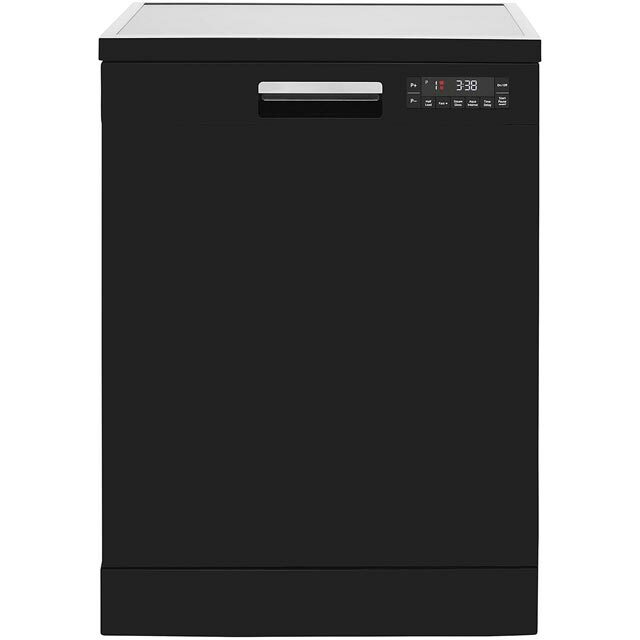 If it’s great value for money you’re looking for then this Beko black dishwasher ticks all the boxes.